Katie was born into a cult. Her family lived there for generations. As she got older, she realized the Elders were keeping secrets from the community. Risking everything, she leaves the cult and searches for the truth. With the help of outsiders, Katie and her young husband David are put in touch with an organization called Purple Haven, which provides medical care, shelter, counseling and job training to individuals who have escaped from cults. She soon discovers she’s pregnant. With the help of her husband, her therapist, and two friends, Katie learns what it means to have a relationship with God. 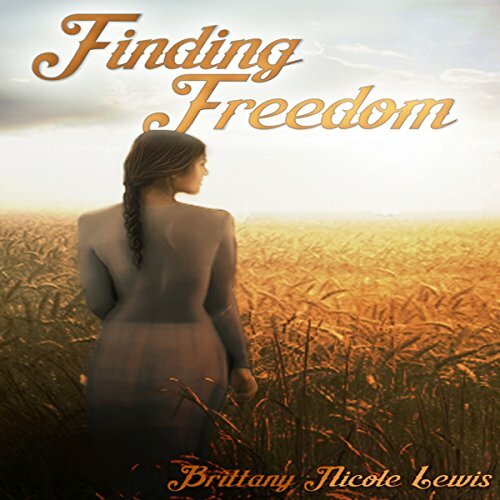 Finding Freedom follows the journey of Katie, born and raised in a cult, as she finds the courage to question the dictates of the cult and eventually leave the safety of the cult's structured existence. Luckily, her husband David joins her in this quest, and he is a terrific source of spiritual and emotional support to her. Watching the two leave everything that they have known with no training in the realities of daily living is incredibly moving. I was comforted by the number of kind people Katie and David met that were willing to give them help and support out of the goodness of their hearts. It reaffirmed my faith in humanity. Although I am not an outwardly religious person, I think that any listener of any faith would find this couple and their journey fascinating from beginning to end. Rick Barr did his usual amazing job with the narration. His voice is crisp and clear, and he keeps the story flowing so naturally that I became completely lost in it. Between the interesting story and the stellar narration, this is a must listen! this isn't my kind of book but I was gifted the book and so I listened to it with open mind. I gave it a 4 because it was a good solid story and I did learn while listening. this is a good book for young Christians PG 13 and up as well because there is nothing in it inappropriate to hear. even though normally I would not buy these I have bought book 2 so that I can finish the story. I quite enjoyed Finding Freedom. It was an enjoyable listen. I was invested in the characters and their story. I loved that Katie didn't just accept things as they were like she was taught. I liked that she started asking questions and decided to leave the cult for herself. It was nice that most of her family went with her. I also liked the love story between her and David. I found the story interesting. I can't imagine being in her shoes but I am glad she was able to get herself out. I felt she was a strong character for that reason. I would recommend this book to others, though it may not be for everyone due to the subject matter. Finding Freedom is the answer to my prayers. Finally! A Christian based series that reads like a story, not a sermon! I love it. Katie and Michael are your typical teens dealing with life, only in a different type of environment; Zion is a private community with a few odd requirements, or for lack of a better word, “rules.” These twins are different in so many ways; Michael is a strict “follow the rules with no question of authority” guy, where Katie is a bit of a Rebel and finds herself questioning every aspect of the societal norms. This difference leads them in very different directions in life. I instantly became intrigued by their story. The characters are well developed and easily relatable. I felt every emotion with them. I found the story quite entertaining. My only negative is that the population of Zion seemed to have an extremely formal communication. The lack of slang and “typical conversational language” took away from the story; but not so much so that I could not enjoy it. Overall, I rate the story with 4 stars; I loved it and I’m already listening to book two. This book made me realize how much people who have been involved or raised in a cult can suffer and the changes that they need to face in order to escape the cult. I hope that transitional places like Purple Haven do exist somewhere and bring hope to those who need it! Even-though I would have preferred a female voice for this type of book, Rick Barr’s narration was great! I'm not a fan of organized religion so I generally avoid books that are heavily based on religion, but the cult aspect of this story intrigued me so I decided to give it a go. I'm really glad that I did, while religion played a large role in the story I didn't feel like it was trying to convert me, it felt like a natural part of the story being told. I found it fascinating to get a glimpse of what it's like to grow up in a cult and the challenges that arise when you start questioning what you're being told is truth. The journey that Katie and David go through as they build their lives outside of Zion is touching. Their young age makes the challenges they face even more compelling and I couldn't help but desperately want everything to work out for them. Beautifully written, rich in emotion, this was a book I could not stop listening to. The narration only added to an already brilliant book, the character voices were really well done and the delivery matched the emotions and tensions of the story. Very interesting plot. Easy to get absorbed in the travails of this family. Narration crisp, easy to differentiate between characters. Good book, looking forward to next one. This is a well written story about a young girl finding herself and defining her relationship with God. It is respectfully written, with relatable characters, and lots of emotion. This book makes you question your own beliefs and wonder if you have the courage to find your own Freedom. Katie was born into a cult and the first part of the book details the idiosyncrasies of her lifestyle. Girls wear long dresses and long hair, men get first dibs at meal time, spouses are chosen by the elders when a girl is 16-17 and a Bible is the only thing that should be read. At 17, Katie decides that Zion isn't the place for her so she makes the decision to leave. She has the support of her parents and a young man from the community and together they leave. There are lots of changes and adjustments that happen. Katie and David get married and quickly find support at a community house intended for people in their situation. Katie has to decide how much she is willing to move on from Zion or if she is going to cling to the old ways. Even though she is free of the cult, she has a lot of learning to do about who she is, who God is to her and how she can be truly free. There was a lot more internal plot than external plot here as Katie worked through many issues, but the story kept me listening through to the end simply to see if Katie could work through everything. The narration by Rick Barr was excellent and high quality. I really liked how this was written and the reading was done pretty good too. What made the experience of listening to Finding Freedom the most enjoyable? Overall great experience. I've very much enjoyed listening to this audio book by Rick Barr. Have you listened to any of Rick Barr’s other performances? How does this one compare?